Grief Recovery Center of Houston often sees clients who battle with trauma and emotional distress on a continuous basis. A specific mental health condition they specialize in treating is Post-traumatic Stress Disorder (PTSD). Symptoms in relation to PTSD can show within one month of experiencing the traumatic event, but at times, symptoms may not exhibit themselves until years after the event. Such symptoms cause noticeable problems in a variety of situations, such as social and/or work environments, along with relationships. These symptoms can also affect one’s ability to go about normal daily tasks. 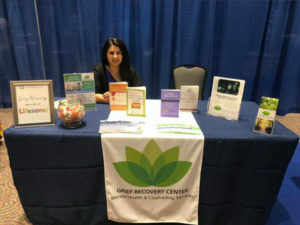 To combat this mental health condition, Grief Recovery Center has been utilizing EMDR Therapy, which stands for Eye Movement Desensitization and Reprocessing. It is a form of psychotherapy technique that is unique in helping individuals heal from (or process) distress associated with memories of traumatic events. In EMDR and PTSD therapy sessions, their licensed counselors help clients to naturally cope with the unsettling feelings of trauma and anxieties, while learning strategies to heal correctly. Through the 8 phases of EMDR Therapy Treatment, with sessions lasting around 60 to 90 minutes, studies have shown this form of PTSD Treatment can significantly help by utilizing the benefits of psychotherapy, opposed to other methods that took years to make a difference. EMDR has shown such great results, that it is now recognized as an effective form of treatment for trauma and other disturbing experiences by organizations such as the American Psychiatric Association, the World Health Organization and the Department of Defense. To make an appointment or to gather more details on treating PTSD and other trauma-related conditions, Grief Recovery Center can be reached by the sending in a message via the company’s website or by phone.